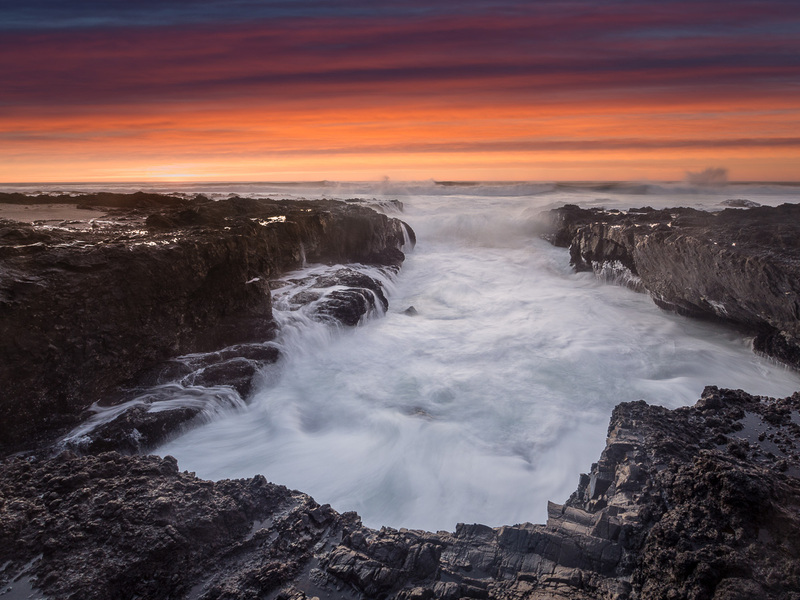 Cape Perpetua is a beautiful location along the Oregon coast. It is best know for Thor’s Well, but also houses several other picturesque locations such as the one you are looking at. On this shot, I used a 3 stop hard graduated neutral density filter to balance the exposure between the bright sky and the darker foreground.